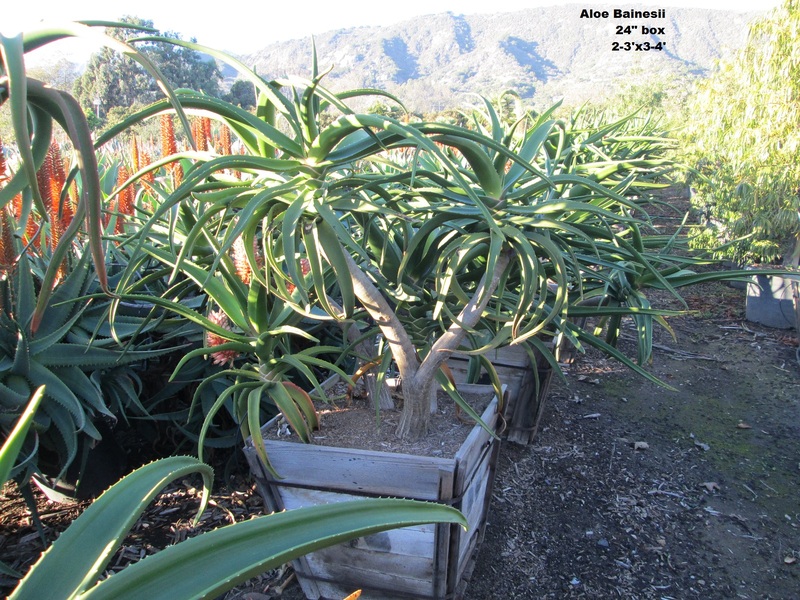 Aloe Bainesii - Jimenez Nursery, Inc. 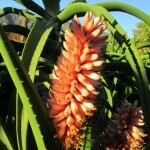 This aloe is native to South Africa. 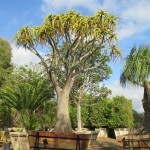 The trunk and branches are grey, and fork out to form a crown of fleshy green succulent leaves. 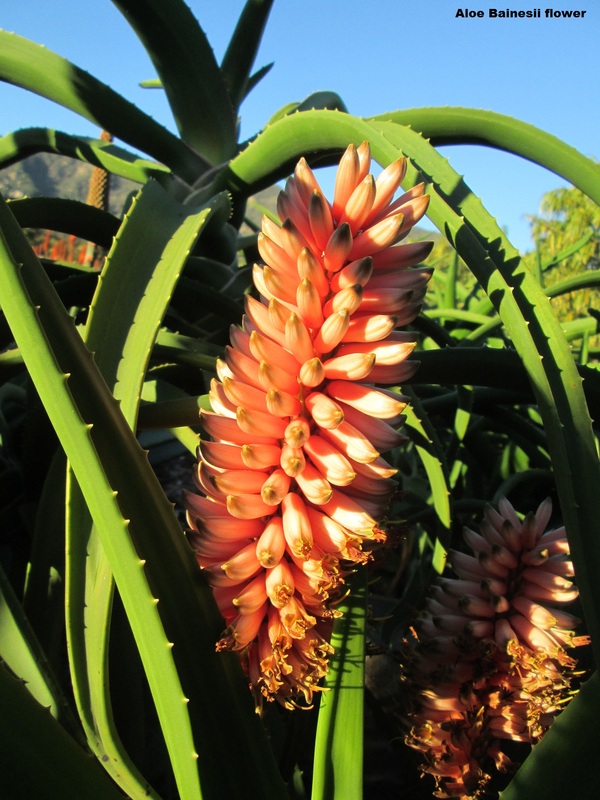 This aloe flowers in winter. The blooms are an orangey pink shade. Moderate growth rate when young, slowing down with age. 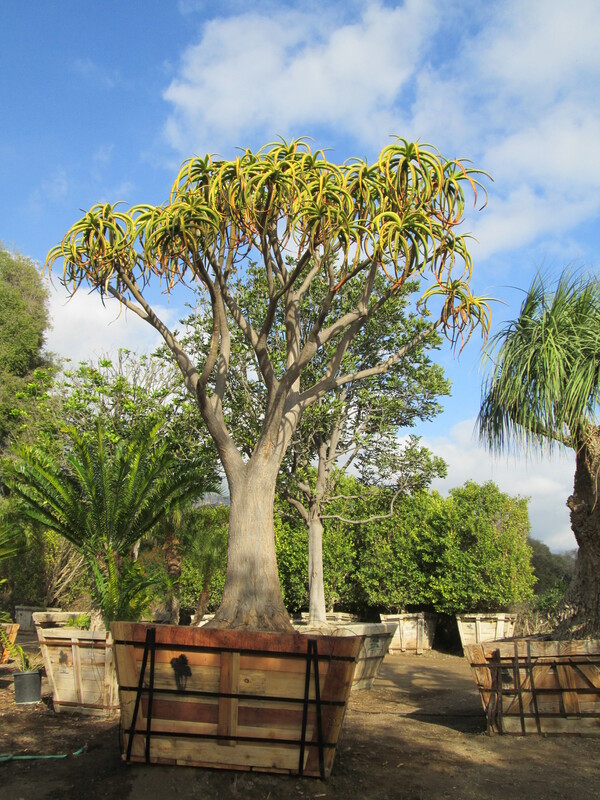 Best Uses: Grown mainly for the striking appearance of this pre historic looking plant. 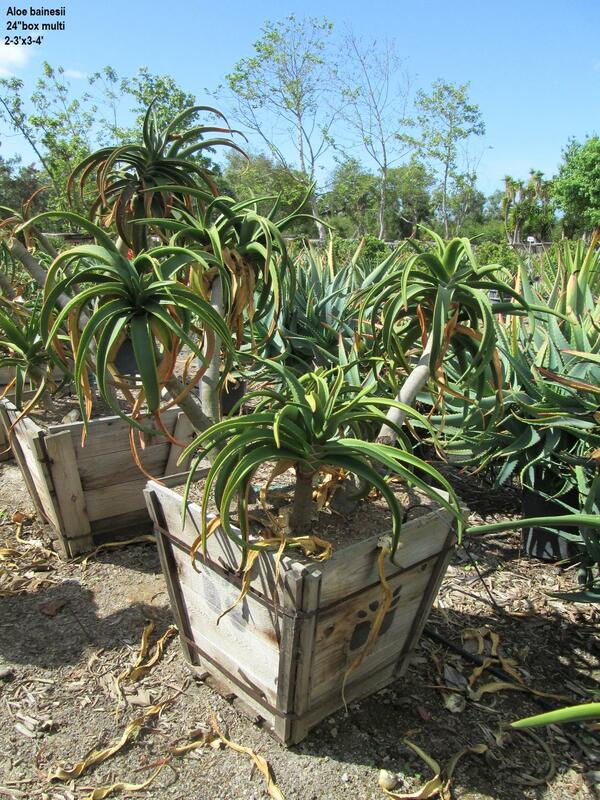 Juvenile plants grow well in pots. Recommended Placement: It requires protection from frost. The leaves turn red when frost burned. Needs room to grow, bearing in mind that the truck can become very wide at the base. Optimal Soil: Well drained humus. 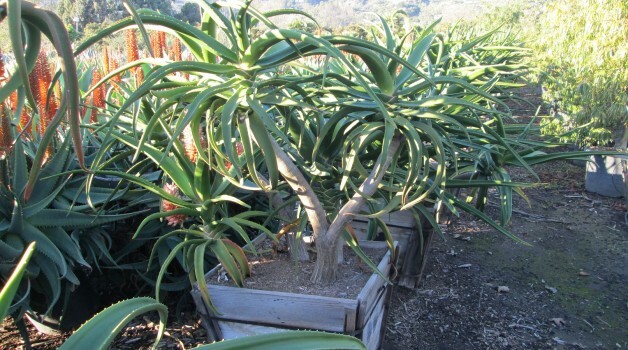 Requires adequate water but may get root rot if overwatered.